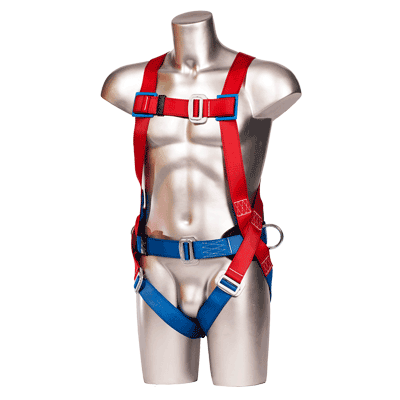 Ergonomic harness with a sliding dorsal D-Ring. Features breathable contoured backpad and two side D-Rings and flat bar buckles that are easy to use and fail safe. Constructed using polyester straps. The waist, chest and leg adjusters offer excellent fit and user comfort.